I’m excited to share the good news that The Princess and the Peer and Her Highness and the Highlander (The Princess Brides Trilogy, Books 1 and 2) are going to be issued in Japanese Manga editions with Ohzora Publishing Company! I think it’ll be pretty cool to see my books adapted into comics. Can’t wait to see the illustrations. Romantic Times 2012 Award Nominee! Website updated, FAQs added and New Contest! For those of you who have been waiting patiently, the FAQ page is now live! I’ve also posted a new contest to win an audiobook edition of The Princess and The Peer! Just fill out the entry form on the Contest page and you’ll be entered to win! Good luck. Eloisa James’s review of HER HIGHNESS AND THE HIGHLANDER! So fabulous! Eloisa James is featuring Her Highness and the Highlander in her November Barnes and Noble review column “Enchanted Refuge”! I hope you’ll check it out! Posted in Huzzah | Comments Off on Eloisa James’s review of HER HIGHNESS AND THE HIGHLANDER! I just posted the new cover for Her Highness and the Highlander (Book 2 in The Princess Brides Trilogy)! 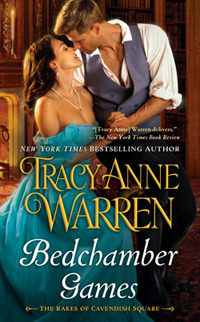 Go to the Books page to check out the gorgeous new artwork for Mercedes’s book and to pre-order the novel, coming November 6, 2012.